Marion Alden (Buck) Gilpin, age 86, of El Dorado Springs, MO, passed away April 25, 2013, at his home. 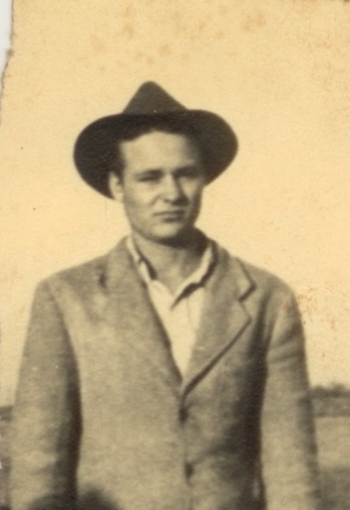 Marion was born June 6, 1926, in a sod house located in Crowley County, Colorado, the son of Percy Clyde Gilpin and Jessie (McCarthy) Gilpin. At the age of two Marion moved with the family back home to the Cedar and Vernon County area, where he spent the majority of his life. Being the oldest son of seven children, at the age of sixteen, Marion quit school to help support the family—working various jobs including maintaining tracks for Katy railroad in the Walker, MO area, picking fruit in Colorado and working with harvest crews in Kansas. During this time, he also worked for Black, Silvalls, and Bryson, Inc. and Sears in Kansas City, MO. At the age of 22, Marion married Reta Vickers of Dederick, MO and began working at the International Shoe Factory in El Dorado Springs. Marion and Reta purchased a farm in Vernon County and subsequently moved to Kansas City, MO, where Marion started working the midnight shift at Bendix in 1951. With the land paid off, Marion and Reta returned to the farm in 1955 where they have lived for 58 years. During this time they maintained a dairy herd, raised hogs and sheep, and later changed over to an all beef cattle operation. They also participated in row crop farming, some logging, and sold wood to area friends and relatives for several years. In the early 1970’s Marion worked for the Milk Plant in El Dorado Springs; then in the late 1970’s he took a job in maintenance at the El Dorado Springs R2 Schools from which he retired. Marion was preceded in death by his parents and two sisters: Anita Gilpin Leverich and Pearl Marie Gilpin Cochran. Survivors include his wife Reta of the home; two children: Lonnie Gilpin and Treva Gilpin of El Dorado Springs, MO; two grandsons: Kevin Gilpin and wife Jennifer of Walker, MO and Kade Gerster and fiancée Kasee Price of El Dorado Springs, MO; five great-grandchildren: Caleb, Abigail, Emilia, Katrina and Luke Gilpin of Walker, MO; two sisters: Virginia Beydler of El Dorado Springs, MO and Alice Nikodim and husband Art of El Dorado Springs, MO; two brothers: Wesley (Jim) Gilpin of Nashua, NH and Howard Gilpin and wife Nina of El Dorado Springs, MO; numerous nieces, nephews, grand nieces and nephews; and many friends. Services were held on Monday, April 29, 2013, at 11:00 a.m. at Bland-Hackleman Funeral Home in El Dorado Springs with Rev. Brent Bland officiating. Interment followed in Mt. Pleasant Cemetery near Dederick, MO, under the direction of Bland-Hackleman Funeral Home. Pallbearers were Rick Coale, Don Nikodim, Roy Weeda, Jerry Dill, Randy Spencer, and Chris Vickers.